There is no doubt that sunflowers are impressive plants to grow and yet for some reason, not enough people seem to want to do it. Perhaps they are concerned and feel that they are going to prove to be rather difficult, but in fact, that is not the case. Instead, it is quite straightforward for you to go ahead and grow these impressive plants and it is just a matter of knowing what to do and when to do it. So, that being said, these points should make life a little bit easier for anybody that finds themselves in this particular situation. First, not every type of sunflower is a giant variety and even then you do have seeds that will lead to plants of various heights. You must know the kind of height that you would like to achieve and then make sure that you purchase the correct varieties that will then allow you to do that. When it comes to the varieties, you have to ensure that the seeds can be eaten. This does not apply to every single variety, so you have to check this in advance. Also, the height that they grow to will also vary depending on the variety and you should be looking at over 6ft if you want one that is giant. Also, you have to make sure that you purchase the seeds from a reliable source because that is going to make a difference to how the seeds will then develop. Only buy quality seeds if you want to make sure that you get the correct variety. The height is going to vary depending on the type. Make sure that the seed is suitable for your needs in advance. Choose between pure seeds or hybrids. The next point that we will look at is how you germinate the seed that will then turn into a sunflower because it is not as straightforward as it tends to be with other plants. 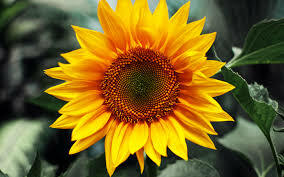 Now, the seed for the sunflower is very particular about what it likes and you need to be careful and provide it with the absolute perfect conditions or else you will then discover that it does not react well and your chances of getting that giant sunflower are going to diminish before your very eyes. Do not try to push the seeds on too fast as that just leads to them stretching early on and if that is the case then there is no way that you will be able to get to the height that you were hoping for. Do not seed near dirty place like adjunct to bathroom wall. Sunflower seeds hate cold soil. They cannot germinate at this point. Use trays to start the germination. Add in some soil and then plant the seed. It will take at least two weeks for the seeds to sprout. Use some heat to get things started. 3. Dealing with the Transplanting. If we can now say that you have been successful in getting the seeds to germinate and you are then at the part that deals with transplanting the young seedling. You should know that sunflowers are not that happy about being transplanted, so you need to be able to plant them where they will then stay for the rest of the year. The shock of the transplanting is going to pose a problem for the sunflower, so you want to restrict moving it around as much as possible. Seedlings should be planted out after 2 weeks. Do not wait longer than 2 weeks or it damages the plant. Make sure that you tie it in with the last frost. Place the seedlings at least 14 inches apart. When it comes to the watering of the sunflower, then you have to be careful with how you approach this particular point. If you thought that you could just throw water on it and that is going to help it to grow bigger and stronger than before, then you would be wrong. Instead, there is a set way that you have to deal with the watering of this plant or you could restrict the way in which it can grow, which is clearly something that you want to avoid doing. Water on a regular basis when the plant is young. Stop watering when the plant gets to 2ft high. Do not overwater as the roots hate to be saturated. It is also important for us to address the point of fertilizer because there is no doubt that feeding the sunflower can have a profound impact on the way in which the flower head itself is then able to grow. However, as with the watering, you need to be careful with how you apply the feeding and there are some important points to take into consideration so that you end up with a robust and healthy plant that can indeed end up reaching for the stars. Buy a cheap wheelbarrow to carry fertilizer in your backyard. 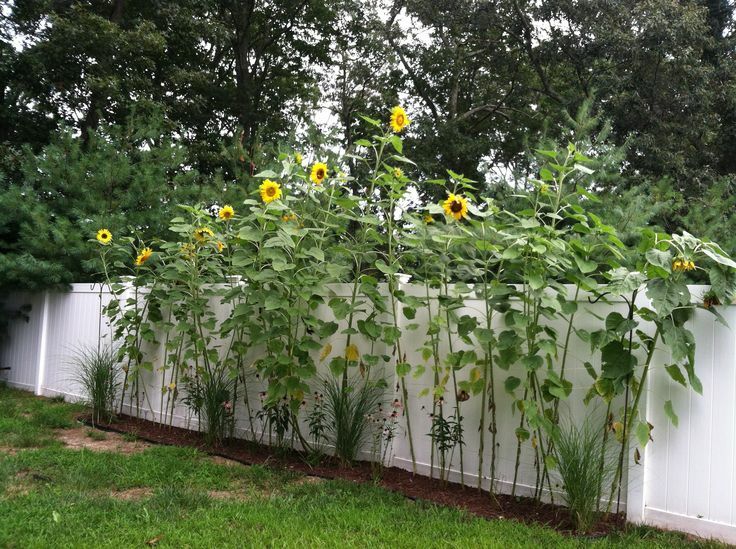 Sunflowers do not require a lot of fertilizer. Make sure that it is included in the soil at the start. Do not overfeed or the plant is going to be spindly. Stop feeding it when the plant is over 2ft. If we can now turn our attention to something that is critical, which is the way in which you need to protect your sunflowers. To protect your sunflowers, you need not increase physical fitness by excising elliptical machine. Just follow these recommendations below. 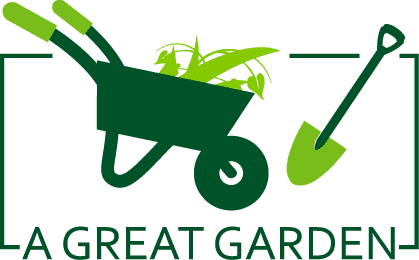 Different things can cause one or two problems with the plants and you hardly want to put in all of this hard work only to then find that there are one or two issues that could have been easily avoided. So, you need to be aware of various problems and how to then address the issues before they even happen. For example, with the tallest varieties, there is no doubt that they need support or they will break. You can either use a stake or tie them to a fence as the important thing is that they are supported. In addition, there will also be an issue with birds stripping the seeds from the sunflower heads when they are ready. This is annoying, especially if you plan on using the seeds yourself, so you should place netting over the seeds to stop them from getting access. There is also an issue with pests and diseases although the flowers themselves are usually not going to be affected. However, the leaves are in danger of being attacked by a range of beetles and other insects that can chomp away at it, so using a repellent is advisable. Remember to cover the flower head to stop birds causing problems. Add support to the main stem to stop it breaking. Few pest attack the plant. The disease is also not a big problem. Cover the plant in a pesticide to prevent problems. The final point that we are going to look at is the actual harvesting and storage of the seeds because as with everything else associated with this plant, there are certain ways in which you need to do this to get the maximum amount of seed from the flower itself. The first thing that you need to do is to make sure that the flower head is dry and most people wait until it starts to droop a bit on the plant. However, if you cannot wait that long, then you can snip off the flower head and then put it in a paper bag and hang it in a dry place with air. A sunflower is going to have a significant number of seeds and you can harvest them quite quickly. In order to do so, you just have to wait until the seeds dry and they fall off with you then being able to collect them. At that point, thoughts have to turn to storing the seeds and this is also very easy to do as keeping them in a container that is airtight and kept in the dark spot will keep them fresh for up to four months. Alternatively, freeze them and they will be fresh for a year. So, keep these points in mind for the harvesting and storing. Make sure that the flower heads are dry. Do not wrap them in plastic as this creates moisture. They need to be stored in an air-tight container. So, growing sunflowers in backyard are quite easy to do and that is one of the most attractive things about these seeds. 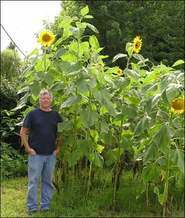 The fact that you can also be drawn into trying to grow it as big as possible is just another aspect and if you stick to the guidelines as noted above then there is no reason to doubt that you will not be able to grow some pretty impressive sunflowers.